Professional Analysis and Consulting, Inc., utilizes an experienced team of engineering and chemical experts to provide technical support for a wide range of investigations, including vehicle accident reconstruction expert analysis services. When you are in need of a vehicle accident reconstruction expert, Professional Analysis and Consulting, Inc. will meet your industry investigation needs with rapid response availability while being aware of and working within your budgetary limitations. Our vehicle accident reconstruction experts have the training and experience to review physical and factual evidence, in conjunction with mathematics and physics, to determine the how and why an accident occurred. Vehicle manufacturers, attorneys, and insurers work with Professional Analysis and Consulting’s vehicle accident reconstruction experts to investigate and reconstruct vehicle accidents and crashes. The Professional Analysis vehicle accident reconstruction experts employ state-of-the-art equipment and advanced techniques to collect, interpret and analyze data from the accident scene. They can determine vital statistics related to the case, including the impact speed and direction of the vehicles involved in the accident, the time and distance relationships between the vehicles prior to the incident, as well as the impact severity to the vehicle’s occupants or affected pedestrians. These vitals form a framework to analyze vehicle accidents and support our vehicle accident reconstruction experts’ investigation. From the information and analysis gathered, the vehicle accident reconstruction experts at Professional Analysis and Consulting, Inc., can tell the story of what and how the accident happened, and what laws or regulations might have been violated. 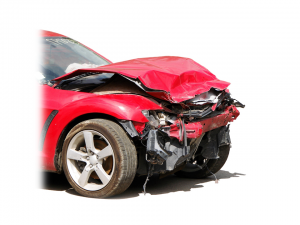 Call 630-466-4040 now to learn how Professional Analysis and Consulting, Inc., can provide vehicle accident reconstruction experts for your specific case. The experienced and competent support staff at Professional Analysis and Consulting, Inc., is dedicated to providing vehicle accident reconstruction experts for timely, confidential, and personal assistance. Call 630-466-4040 today to speak to one of the experienced and competent support staff at Professional Analysis and Consulting, Inc., about how we can provide vehicle accident reconstruction experts for your specific case. Or simply fill out the form to the right and a qualified representative will respond shortly.